We stopped by Opal & Ruby Gift Emporium today to check out the progress made while we were in Florida last week! It’s really taking shape! The walls are now gray, some ceiling tiles are in place, the electrician has put in some lighting, the store room cabinets are in, and the back door has been installed! Our signage is up! 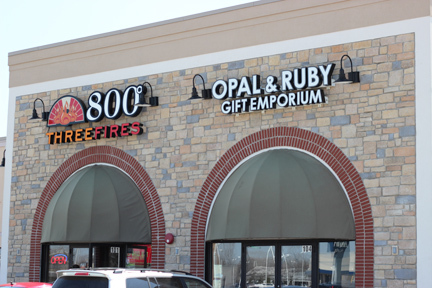 Looks good next to our neighbors, 800 Degrees Three Fires! 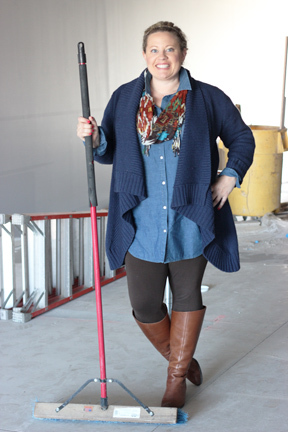 Kelli wanted to clean up the construction dust! 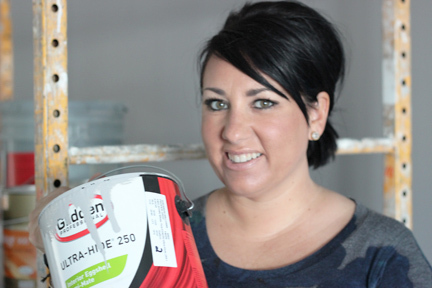 Kristin loves the paint color! 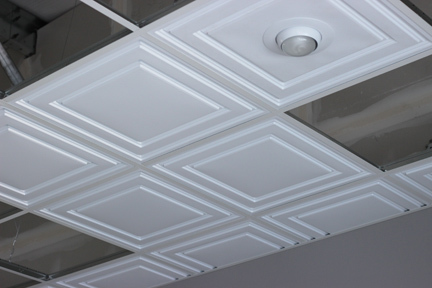 We love these ceiling tiles! 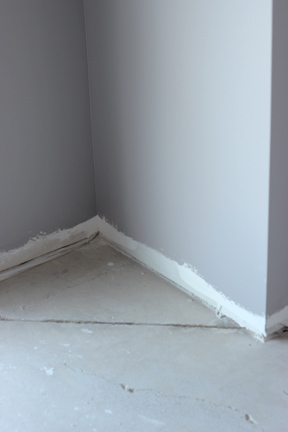 Our walls are now Proper Gray! The first part of the store’s lighting is up! 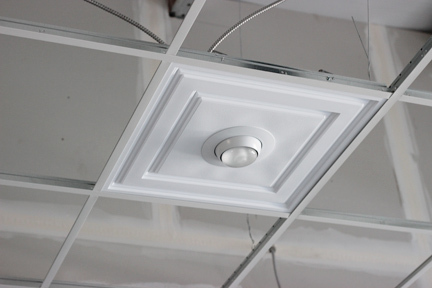 We can’t wait to see the pendant lighting go up! 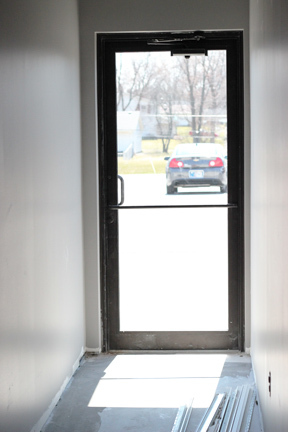 We will have a back entrance for our customers! The Shoppes of Illinois Road have a lot of parking ‘out back’! PreviousHappy Spring from Opal & Ruby!